Written in exile while in flight from the Nazis, this dark, bizarre evocation of everyday life under fascism is available for the first time in thirty years. 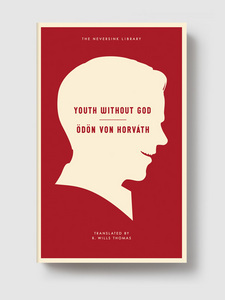 This last book by Ödön von Horváth, one of the 20th-century’s great but forgotten writers, is a dark fable about guilt, fate, and the individual conscience. An unnamed narrator in an unnamed country is a schoolteacher with “a safe job with a pension at the end of it.” But, when he reprimands a student for a racist comment, he is accused of “sabotage of the Fatherland,” and his students revolt. A murder follows, and the teacher must face his role in it, even if it costs him everything. Horváth’s book both points to its immediate context—the brutalizing conformity of a totalitarian state, the emptiness of faith in the time of the National Socialists—and beyond, to the struggles of individuals everywhere against societies that offer material security in exchange for the abandonment of one’s convictions. Reminiscent of Camus’ The Stranger in its themes and its style, Youth Without God portrays a world of individual ruthlessness and collective numbness to the appeals of faith or morality. And yet, a commitment to the truth lifts the teacher and a small band of like-minded students out of this deepening abyss. It’s a reminder that such commitment did exist in those troubled times—indeed, they’re what led the author to flee Germany, first for Austria, and then France, where he met his death in a tragic accident, just two years after the publication of Youth Without God. 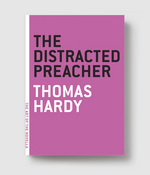 Long out of print, this new edition resurrects a bracing and still-disturbing vision. ÖDÖN VON HORVÁTH (1901–1939) was born near Trieste, the son of a Hungarian diplomat who moved the family constantly. When the Nazis came to power in 1933 he relocated to Vienna, but on the day of the Anschluss—March 13, 1938—he fled to Budapest. 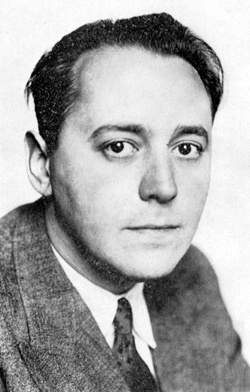 From there, he soon moved to Paris, but on June 1, 1938, he was killed in a freak accident when, caught in a rainstorm coming out of a theater on the Champs-Élysées, he took shelter under a tree that was hit by lightning; von Horváth was struck by a falling tree limb and killed instantly. He was 36 years old and had published 21 plays and three novels—The Age of the Fish, A Child of Our Time, and The Eternal Philistine.